In 1969 Bruce Berry laid out a set of blueprints that would not only become the standard for temporary heating equipment but a model for extraordinary customer service. A business built on flawless customer service and attention to detail BABFAR has become the industry’s leading temporary heating specialists. Bruce started with the best equipment available, designed for use in the North Slope Oil Industries, and tweaked those systems for use in the construction industry. It is a practice that has generated more continued temporary heating business in the last 45 years than any of our competitors. 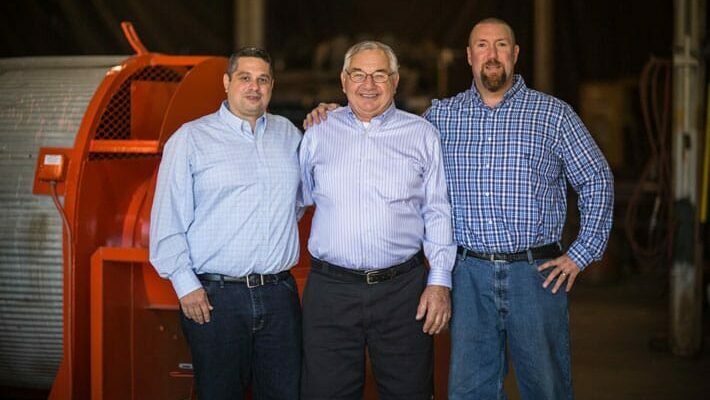 Today, BABFAR is run by Bruce’s two sons, Jason and Bruce, with the same passion and dedication that their father instilled in them as young boys. If you are unable to reach someone on our service phone line, call Jason’s cell number at (508) 359 – 6007. We’ll take care of you at any time of day or night. We know what works and BABFAR’s commitment to customer service has proven to be the difference. The relationship with our clients is manufactured from the very beginning. Before your project begins our temporary heating technicians will provide you with the direct phone number to our owner so that you are never left out in the cold. BABFAR has been so successful in retaining our clients over the years because we know that taking care of the customer is the only way to do business. As “Temporary Heating Specialists”, BABFAR employees are experts in the analysis of your needs, which will save you money. We recognize the cost of energy is an economic crisis and understand the urgency for a business to stay within budget. To make certain your costs do not exceed budget we will execute a careful analysis of your needs – temporary heater sizing, location, ducting, and system modification, if necessary, as your job progresses. This coordination requires considerable skill in tailoring our temporary heaters to your application. If the BABFAR system we put together for you saves 10 gallons of propane an hour – or 1680 gallons a week – all you need to do is multiply that by the cost per gallon and see how much money we can help you save!